Wishing YOU well and much joy on this Valentine's Day. Happy Valentine's Day. Its a beautiful postcard. Wishing you a happy and cozy Valentines Day! 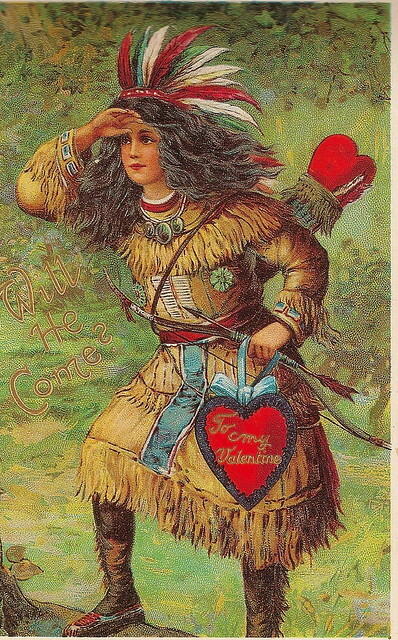 Nice First Nations take on Cupid! Happy Valentines Day to you! All the same to you, Snap. I love that vintage postcard! I love that postcard. Hope you had a fun day.